Update: The free coupons are gone. They are offering a $1.00/2 coupon now. 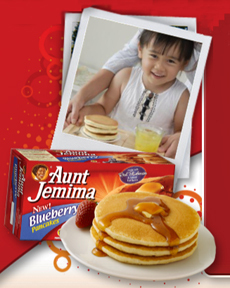 Hurry to the Aunt Jemima Facebook page and “Like” them. Click on the Kitchen Tab (lower left hand side). 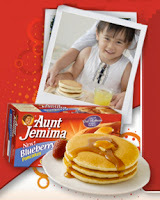 Proceed to watch the short video, then click on “Proceed to Coupon” to request a coupon for FREE Aunt Jemima pancakes! Allow 4-6 weeks for delivery.